Many of you have asked me over the last few days what to do to prepare for the incoming Hurricane. If you don’t have laid your plastic yet, wait until the storm is over! If you have plastic in the ground (and planted for Fall), please inspect your plastic TODAY and make sure that it is tight and that the sides are under enough soil. Where necessary, put more soil on the sides or move heavy stones on the top of the bed. If you and your family are ordered to evacuate, please follow those orders! It is for your own safety. Hurricane Florence is approaching the Carolina Coast. Currently, it is a Category 4 Hurricane and will make landfall sometime between Thursday afternoon and Friday morning at the Carolina Coast. Figure 1: Predicted strength of Hurricane Florence. Most prediction models keep it in Category 4 for the next 72-84 hours. The hurricane will weaken once it has made landfall. 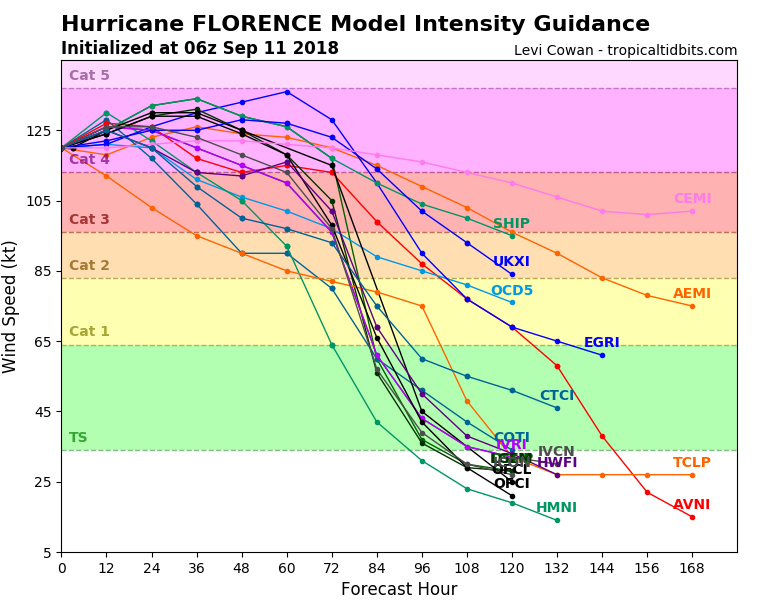 Figure 2: Predicted Path: Almost all models predict the Hurricane to make landfall at the Carolina Coast. 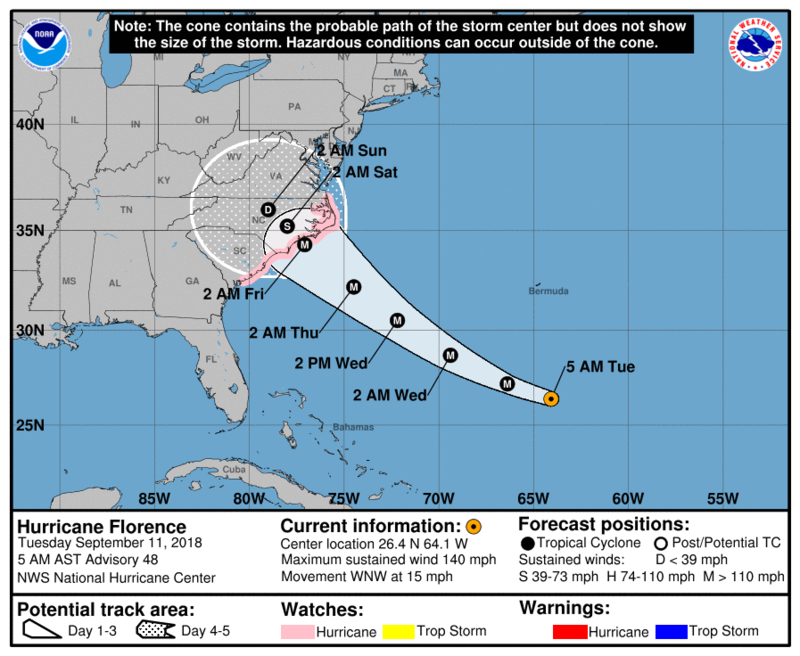 Figure 3: The Hurricane will make landfall most likely early Friday morning at the shore of North Carolina. Please see the forecast for wind strength in Figure 4. Especially Thursday Afternoon and Friday Morning, winds can be up to 50 mph in several regions in NC, at the shore even more. Please see the forecast for Rain in Figure 5. Some regions can experience more than a foot of rain in 24-36 hours. Flash floodings are possible through the region from the East Coast to the Mountains. First and foremost, you and your family should be safe. Prepare yourself, have enough food and water at home, have batteries, flashlights and a radio. Please visit our Disaster Information Center to gain updates and information on how to prepare for the incoming Hurricane. Please do NOT lay plastic BEFORE the Hurricane. If your plastic is already laid, please go out TODAY or TOMORROW and make sure that it is safe and secure, that no holes are present and that it is tight to the bed. If you haven’t, DO NOT PUNCH THE HOLES BEFORE THE HURRICANE. For those who planted for Fall: Make sure your plastic is secured all around. If you know you have areas with weak drainage in your field, try to open up a path for the water to flow out of the field. Make sure you don’t leave equipment in the field. Please stay safe over the next days and don’t hesitate to contact me or any of your county agents at any time.